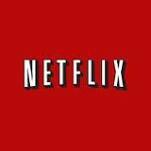 Netflix Horrors: Recommends & the Latest.. 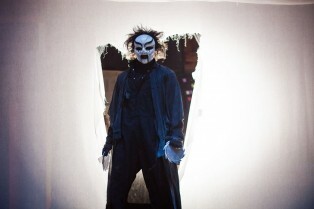 Exclusive Look at an Alternate Stage Fright P.. Shock Interview: Jerome Sable, Eli Batalion o..
You Can Now Watch the First 10 Minutes of Sta..
?”Nailed it!” Out brother site, ComingSoon.net, landed an exclusive clip from Stage Fright, the horror-comedy that also poses as a musical which is out on VOD today. You can read our review of the film via this link. Directed by Jerome Sable, the film stars Allie MacDonald, Douglas Smith, Minnie Driver and Meat Loaf. Horror and the jovial, spontaneous realm of musicals don’t collide often on the screen, but when they do, the outcome yields mostly positive and extreme reactions. The Rocky Horror Picture Show became a cult classic, Buffy the Vampire Slayer’s “Once More With Feeling” transcended expectations and is considered one of the best episodes to come out of that series, and, more recent efforts like Repo! The Genetic Opera and The Devil’s Carnival have curiously carved out a significant Rocky Horror-like fanbase. Whatever your personal thoughts are on those offerings, you have to commend them for fully embracing the radical, unlikely merging of genres. They find their voice, their message and they really just go for it. 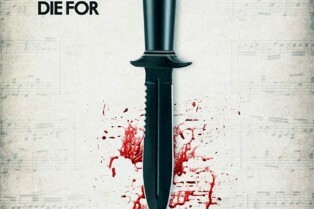 Stage Fright similarly goes for it enthusiastically and with bloody reverence for the slasher genre. That’s right, this is a slasher musical that, in equal measures, goes for the laughs and goes for the throat. And it does it very well. So well, it amused me quite a bit (obvioulsy)…and I’m a real curmudgeon when it comes to musicals. ?Magnet Releasing has sent us a bunch of new images from Stage Fright, the horror-comedy-musical arriving on VOD/iTunes tomorrow and in theaters May 9th. Directed by Jerome Sable, the film stars Allie MacDonald, Douglas Smith, Minnie Driver and Meat Loaf. Check out the images via our gallery here and revisit the red band trailer, while you’re at it! Earlier today, we gave you a look at the festival one-sheet for the horror-comedy Stage Fright, directed by Jerome Sable of The Legend of Beaver Dam. Playing at SXSW and coming soon from Magnet Releasing, we now have a trailer! Can this movie get in front of my face now, please? 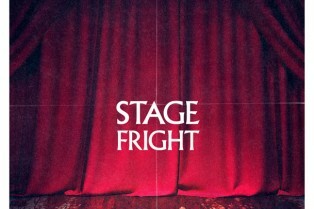 First of all, let’s talk about how great this SXSW poster is for Stage Fright. This one-sheet along with a festival poster Honeymoon hit the web and we have them for you here. Although Jerome Sable had been directing short films for a few years, it wasn’t until The Legend of Beaver Dam that he caught our attention with his amusing 12-minute horror-comedy. Now, Sable has made the leap to features with Stage Fright, a new film playing to SXSW audiences one week from tomorrow (March 10th) and we’ve received some new stills that put the spotlight on the masked killer. Alie MacDonald, Douglas Smith, Minnie Driver and Meat Loaf star. The film we got giddy about at the American Film Market last fall, Stage Fright, has been picked up by Magnet Releasing. The film is going to be playing at SXSW during the fest’s midnight programming. XYZ Films is getting behind some bold and exciting films. This year, at the American Film Market, they’re touting a number of interesting projects like Nicholas McCarthy’s Home. He’s the cat who directed last year’s film, The Pact. Then you’ve got The Mo Brothers’ Killers, about two vicious killers, and the horror-musical Stage Fright (no relation to Michele Soavi’s film of the same name), starring Meat Loaf. After the jump, check out the first images to come from these titles, all currently in post-production. We accompany each pic with a synopsis, so head inside!